How do you go about betting on the UFC? Are there things you need to know to bet on UFC events? UFC betting lines are on the board at top sportsbooks every single month. There are televised events almost every week in MMA with a number of great betting options on the board at US betting sites. Let’s look at how to bet UFC and factors to consider when you handicap UFC. 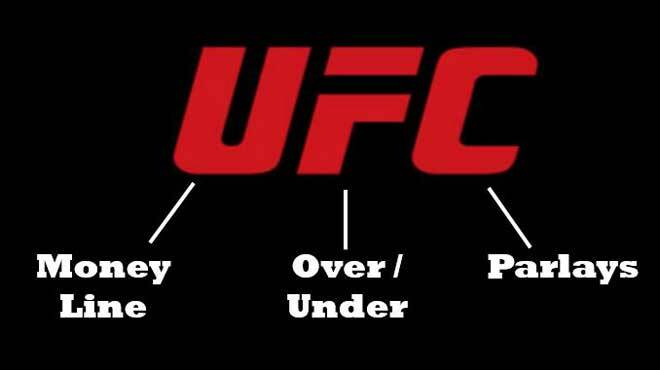 UFC betting lines are based on money lines, not pointspreads. UFC odds at sports gambling sites have one fighter favored against another on a money line. It is similar in some respects to golf betting where you have head-to-head matchups. In this example you could choose to take Fighter A and lay the -150 which means you would be betting $15 to win $10 or any amount you choose based on the 15/10 ratio. Or you could take the +130 on Fighter B. The rounds option would have you betting on how long the fight would last with the over favored at -125. UFC betting lines can get pretty high on some fights and it is not unusual to see a favorite of -400 or more in UFC betting odds at sports gambling sites. You can also bet on props with UFC betting. These props include how a fight will win with prices on a knockout, submission or decision. You may also have props on the exact round the fight will end and other props like Fight of the Night, Knockout of the Night and Submission of the Night. There are many UFC betting handicapping factors to consider such as fighting style, motivation, age, reach, etc. Make sure to look at the reports and previews you can find on UFC betting sites. Take a look at the previews and the statistics for each fighter. Keep in mind that it is never a bad idea to bet the underdog simply because underdogs have held their own in UFC betting through the years. If you bet underdogs you don’t even need to win half of your wagers to make money. It is also a good idea in UFC betting to be selective. If you want to win at UFC betting you need to pick and choose your spots. There are a lot of systems and strategies for betting UFC fights and none of them will work all the time. It is just like betting other sports like the NFL, NBA, etc. as you have to pick your spots. The good news with UFC betting is that there are almost always previews on each of the fights for the events every month. You can get a very good idea of the styles and motivations of the two fighters before you make your wager. You can also get an idea if bettors believe there is value in taking the underdog before you make your wager at US betting sites.